L-R: Tony Castro, Kaile Bennet, George Hiller, Valeria Villaverde, Grace Kobitter, Hannah Yoder. 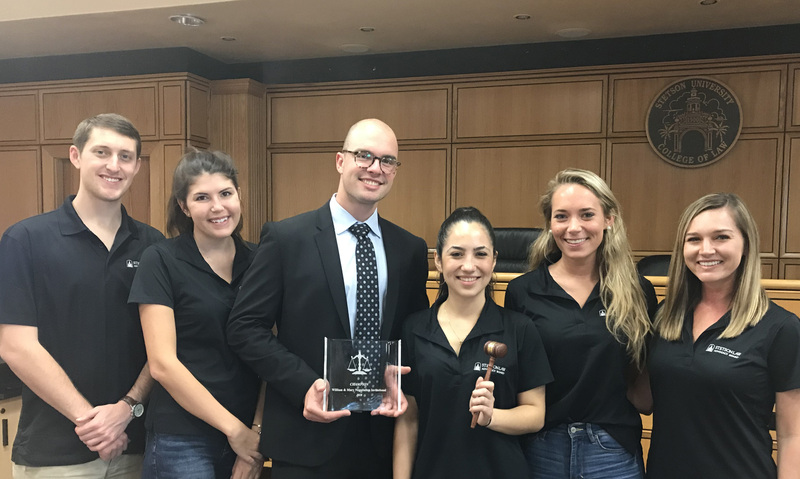 Stetson University College of Law’s Dispute Resolution Board recently won the William & Mary Law School Negotiation Tournament for the third year in a row. Stetson Law students George Hiller and Valeria Villaverde won the competition on Nov. 4, and Villaverde was also named Best Overall Advocate. Professor James Sheehan and alumnus Bill Greiner traveled with and coached the teams. Stetson sent three teams to the competition. The student teams of Tony Castro and Hannah Yoder and Kaile Bennet and Grace Kobitter also competed.